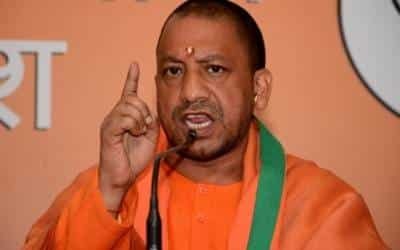 Lucknow, March 22 (IANS) Uttar Pradesh Chief Minister Yogi Adityanath on Friday hit out at the Congress for doubting the bravery of security forces, saying those who advocate "monarchy in our democratic set-up" have been "exposed" by one of the family loyalists. "Congress’ royal dynast family which advocates monarchy in our democratic set-up has been exposed by one of the family loyalists who happen to be Congress President’s conscious keeper," he said in a series of tweets attacking Congress President Rahul Gandhi’s chief advisor Sam Pitroda. "The family enterprise had doubts about the bravery and valor of our armed forces when they were in power, but today New India stand with its soldiers to defeat forces of terror," he said. Yogi was referring to Pitroda’s remarks, after the February 14 terrorist bombing in Jammu and Kashmir’s Pulwama on a CRPF convoy in which 40 troopers were killed, that such incidents "happen all the time" and that the previous UPA government could also have sent planes across the border after the 2008 Mumbai terror attack, but "that is not the right approach" to deal with the world. His remarks came soon after Prime Minister Narendra Modi accused the opposition of insulting the defence forces and of being the "natural habitat of terror apologists and questioners" of the country’s armed forces. Earlier in the day, the Prime Minister said in a tweet: "Loyal courtier of Congress’ royal dynasty admits what the nation already knew — Congress was unwilling to respond to forces of terror. This is a New India — we will answer terrorists in a language they understand and with interest."